tank – Welcome to Spinksville! Lono commented yesterday that he feels the hard mode flashpoints in SWTOR are overtuned, with the ‘hard’ part relying mostly on boss enrage timers. What this means in practice is that that the group needs to provide more dps, which means that it’s the dps who get the extra difficulty. He proved this by healing a hard mode successfully in his offspec and with dps gear (ie. the requirements on healers were very low). My perspective is based on playing a dps juggernaut, and I’ve had some experience at playing melee dps in WoW so I don’t believe lack of dps is down to my incompetence. It could be that the instances favour ranged dps over melee, or that juggernaut dps isn’t up to scratch, or that I’m not in full PvP or raid gear, or that my guild mates are rubbish (which they aren’t). However, groups in SWTOR only have 4 players so if an encounter IS favouring one type of dps over another AND is tightly tuned then they need to fix it, because otherwise it’s making things too hard if even one of your dps is ‘the wrong type.’ And personally, I’m not going to sit around whining about being forced to PvP to get gear upgrades to run instances in, I’ll just quit or play an alt once I feel I’ve given it my best shot and it wasn’t good enough. It’s also confusing to the player base when the gear requirements for raids are lower than for flashpoints, and if that was intended then it’s something that needs to be made clearer. I have strong feelings about this from TBC when tanking heroics (if you weren’t playing a druid so had access to good crafted tanking gear) was absolutely horrible until you had Kara gear. Tobold has taken this opportunity to throw some hate at dps players and snarking about lack of responsibility. This is just bizarre to me. So much hate. I have no issues with tanking, and spent a lot of time doing it in WoW. I’d probably be tanking in SWTOR except that we have a fair few tanks already and dps are needed, and I know fine well what my responsibility is as a dps player. Do so many tanks and healers really hate the dps players that much? I don’t recall that I ever did – well maybe the really rude guys in random PUGs but that’s because they were really rude. Maybe I was jealous that I had to endure gearing up from raiding to tank heroics where they could just hop in as soon as they hit level 70 (this is TBC, remember). That was in fact still a tuning issue, and it wasn’t right then, and it isn’t right now even if this time it’s the tanks/ healers getting the easier ride. Ghostcrawler announced some design changes around the threat mechanics via a forum/ blog post today. Basically tanks will be getting an automatic 200% treat increase next patch. It’s mostly due to dps who don’t like having to hold back in instances when they get a lower geared tank. This plays into the issue I was discussing a couple of days ago about there being some barriers to people picking up tanking for the first time. The threat change won’t make any difference to how tanks play, since they usually go for their best threat rotation anyway. Other proposed changes for more DK-like survivability active cooldowns sound interesting, but are likely to make the tanking classes play more and more similarly. It’s not fun for the Feral druid to stop using special attacks in order to avoid pulling aggro. It’s fun to use Feint at the right time to avoid dying, but it’s not fun for Feint to be part of your rotational cooldown. We like abilities like Misdirect. It’s fun as a hunter to help the tank control targets. We are less enamored of Cower, which is just an ability used often to suppress threat. We like that the mage might have to use Ice Block, Frost Nova, or even Mirror Image to avoid danger. We don’t like the mage having to worry about constantly creeping up on the tank’s threat levels. This is where I get confused, because several of the ranged dps classes have aggro dumps, as well as two of the melee. If it’s bad for one class to have to use that ability, why is it OK for the others? Anyway, regardless of what you think of threat and the proposed tanking changes, the big question is why this was considered to be so important that it’s being changed mid-expansion. My guess is that instance tanking just isn’t keeping up with strong AE dps such as mages and frost death knights and this is a quick fix. But it will take some of the teamwork out of instance play, having to adapt to what the tank was doing and watch your threat will become a playstyle of the past. Tobold kicked up a stir yesterday by opining that dps deserve their long LFD heroic queues (40 mins or so, compared with much shorter queues for healers or tanks) because they are shirking their social responsibility. Commenters on the post have been even stronger, claiming that dps are antisocial and that it’s all because hybrids aren’t using their socially responsible roles. Apparently socially responsible people play tanks and healers because those roles are more in demand. I just wanted to point out the words ‘socially responsible’ and ‘demand’ in the same sentence. Because it shows that there are two ways of trying to use game mechanics to equalise the roles, and neither are working. Social responsibility. This is the stick. The idea is to guilt people into playing the little used roles. And to suggest that people who value how they are seen by ‘society’ will tend to veer towards them. Demand. This is the carrot. And this angle is all about letting ‘the market’ correct itself. Tanks and healers get rewarded via smaller queues so more people will play those roles, is the argument. Personally I’d rather have people playing tanks or healers because they enjoy it, but there you go. Gevlon noted in an earlier post that the better players had tended to gravitate towards tanking and healing in his raids. Similarly, we have lots of good healers in guild at the moment. In that case, it’s probably just as socially responsible if not more to roll what your guild needs. 2. You have to be a bit crazy (or at least have tons of time and enjoy herding cats) to tank LFD heroics right now. Hats off to those of you who do it. Lots of tanks don’t. It’s not because of being socially irresponsible, it’s because it isn’t fun. Does socially responsible have to mean not fun? So in this case, it doesn’t really matter how great the reward is, it’s not enough. People are making their choices, and that choice is that they’d rather wait 40 mins than run a random heroic as a tank or healer. As to those pure dps who don’t have a role choice. Well, if you did, you’d probably make the same choice as everyone else for the same reasons. 3. It’s another angle on the old argument that hybrids shouldn’t be allowed to play as dps. Apparently it’s socially irresponsible. Never mind if you hate it, or if you’ve just run an instance with your guild as a tank/healer and would like a rest. 4. The ‘thin end of the wedge’ argument. It’s only a short step from saying that people should play more socially responsible roles to saying that only good players should be allowed to use LFD. I’m sure a lot of people would be down with that. And it would make queues even longer than they are already. In any case, the bottom line is that if people are faced with playing a role they dislike or waiting hours for a group, they will probably go play another game. 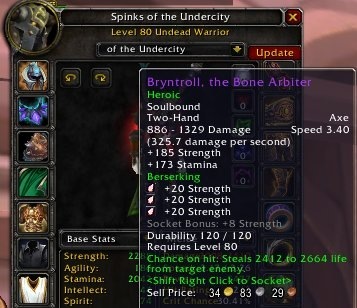 The reason this is more marked now than in previous WoW expansions is partly because of the availablity if the random dungeon finder, and partly because everything in the game seems less permanent than it used to do. When you feel that what you can accomplish matters longterm, you’ll be more willing to weigh that up against a few stressy dungeon runs. Or rather, if you could get a permanent benefit to your character, it would be worth a bit of grind or ‘pain’. Nothing is worth anything, so no one can be bothered. Back in the day, some character classes were known as group friendly classes, and others were solo friendly. The group friendly ones were typically tanks, healers and support classes and they usually had fairly poor dps and were slow at soloing. The others were the dps classes. Group friendly classes asserted their importance in groups because … they couldn’t really do much outside groups. Their whole game depended on being needed in groups. A solo archer could happily knock out the odd level or two, a solo healer was a joke. People used to take pity on their guild healers by helping them ‘solo’. It’s worth noting this because the idea that tanks and healers are group oriented and dps are solo oriented is rooted very deep in the history of MMOs. This didn’t stop them all being able to work together as a group when needed, older games also had group content that required this. On the other hand, older games also had more downtime so people had time to talk, to discuss their roles, and so on. Plus groups used to go on for hours – it was more a case of camping a location until people got bored rather than going through a directed instance. But how should decisions be made in a group where the majority don’t care, don’t want to talk and (presumably) just want to get on with it? Standing around trying to decide while the people take the opportunity to each express their own individuality by pulling random trash mobs is probably not going to please anyone. Although who knows … maybe that’s the way the genre is going? A more pressing issue is simply that some people really do prefer to run instances at different rates. There are definitely players who would be more comfortable chatting for a couple of minutes before each pull and who feel disempowered by the whole LFD/ PUG experience. You won’t see them much in LFD because they either avoid it (probably the correct answer — much better to go with friends who use that style) or sit through the whole thing uncomfortably cowering in terror. People do commonly say that the main issue with the ‘holy trinity’ is the tank role. It’s unintuitive, unwieldy, and greedily snags a lot of the actual gameplay from PvE (ie. setting up pulls, et al). But what my tank would really like for Xmas is a pet dps. I’m happy to run with player-healers, they’re usually pretty cool. But my game would be so much more fun if I could have NPC dps instead of players. Imagine not having to fight with your group all the time. Or people yelling at you to gogogo. Or people jumping straight into fights before you have threat because that 0.5s at the beginning is oh-so-important for dps. Plus since your base character is a tank, it’d be tough enough to solo comfortably anyway. (And same applies to healers since they can self heal.) So really, if you have to remove one role from the trinity, it’s the dps that should go. Threat in MMOs is a strange construct. It’s supposed to mimic the way in which a monster decides which of the adventuring party to attack, instead of running away like a sensible creature or just biting people’s heads off. In WoW-like games, the tank usually uses lots of high threat moves on a mob and as long as they stay highest on the threat list, the monster won’t hit at anyone else. So the object of threat, if you are a tank, is to stay above the rest of your group on as many mobs as possible. If you are not a tank, then your goal is to keep your threat low while doing as much damage/ healing as possible. On threat, one of the changes we’re considering trying out ((in Cataclysm)) is to have threat decay pretty rapidly. The idea is that a tank should never be able to get so far ahead on threat that they can AFK for the rest of the fight. It might sound like a nerf, but really the intent is to make sure that the tank’s job is never done — that what you do will remain important. I don’t actually know who these tanks were who put up such high initial threat and then went off for a smoke, but I bet they were paladins. So the answer clearly is just to nerf paladins, which they are doing anyway. When I’m tanking on my warrior, I never just slack off or AFK for half a fight. There are times when I want to use my most perfect, intense high threat rotations (typically a tank and spank type of fight where the dps will also be putting out their max rotations) but there are also times when I need to be able to keep threat with minimal effort. For example, if I’m dragging a mob around the room and also dodging fire on the floor, I have a lot of buttons to press and I don’t have the concentration to keep a max threat rotation up at the same time. 1. It assumes that both tanks and dps/ healers are always generating threat at similar rates. All it takes is one fight where the tank has a lot of things to do but dps can stand still and nuke, and suddenly they’re being asked to stand around and do nothing because of the lower threat cap (caused because it’s harder for the tank to prevent threat decay while moving). 2. It vastly favours tanks who have better ranged tanking, easier rotations, or other class abilities which make them better able to keep up a max threat cycle whilst doing other things. Or rather, yes I was proud of being able to tank Malygos on my warrior when I know a lot of other raids were insisting on paladins for exactly this reason (need to be able to keep threat high while moving dragon around) but there’s a limit in how far I want to feel punished for having a more complex rotation or less inbuilt threat. 3. Fighting the rest of the group isn’t really what makes tanking fun. It would be better if there was some reward for higher threat (maybe it effectively debuffs the mob in some scaling way). I bet dps would be ticked off if a mob healed so much during combat that they never really made a dent in it. 4. It’s just not necessary. Nerf paladin threat, and call it fixed. 5. Tank threat has never really been normalised in WoW. It didn’t matter which tank did the most threat per se, as long as all of them were able to stay ahead of the top dps (more or less). Burst threat and up-front threat did make a difference and probably should have been more normalised than it ever was. But if threat decay is going into the game, then threat needs to be as equalised as dps is among dps classes. It isn’t an impossible idea in general. I’m sure other games have used variants on threat decay to keep the game interesting. But if it goes live, then dps threat needs to decay also. There needs to be times in a fight where a clever tank can realise that dps will not be on full blast and they could take advantage of that to lower the threat cap temporarily. I also agree that threat has long lost its potency as a game mechanic. Instead of being forced to work with dps players to make sure the mob was attacking the right person, we feel as though we are working against them. If they are ever asked to hold their fire, the amount of whining or begging for a better tank has to be heard to be believed. I wonder perhaps if tank decay is a polite way for GC to say that actually they want the dps classes to learn some patience and to not always have threat on easy mode. Not a bad goal in itself. But I don’t want to be the one who gets blamed all the time for slacking every single time it happens. I also prefer tanking to be a test of smartness and reaction and situational awareness, not just of how well you can hammer your max threat rotation while jumping through hoops. We aren’t dps monkeys, after all.